until the reindex is complete and try some queries. Update to follow. I’m not the only person in this situation. GDS treat XML as plain text, and that should hopefully improve the search. specific element or attribute value. how this one works out. UPS vs FedEx: Who walks the walk? number on the account is correct. based. But I now live near Pittsburgh, where FedEx Ground is based. Either one is a home-team to me. Posted on December 7, 2006 Author rjdudleyCategories For Florists (and other small businesses)2 Comments on UPS vs FedEx: Who walks the walk? My newest GTD tool is an oldie but a goodie. 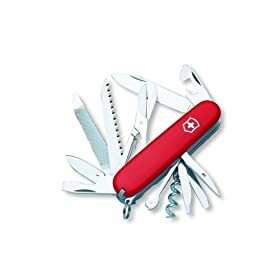 I’ve started packing my Swiss Army Knife (Ranger model), and it’s quite amazing how many things never even hit my inbox now. I’ve had one for years, and it’s found a lot of use in my office. Now, it’s finding utility all over the place. Most of the things I prevent from hitting my inbox would go on an extensive list in wifey’s head, only to come back at some time when I couldn’t do anything about it. Mainly it’s the screwdrivers that find use, but the cutting tools come in handy, and if you need that screwpull, good times are ahead. Just remember to take it out if you’re flying!